Small-town girl Katie Fisher is planning her wedding. Sure, her boyfriend hasn’t managed to pop the question just yet, but that doesn’t mean she shouldn’t enter a contest in Texas Bride magazine to win the dress of her dreams, right? But when her boyfriend breaks up with her and takes a job in another town–the very same day Katie wins her dream dress–her world is turned upside down. Should she claim her prize? And will the hunky former pro-basketball player who runs the swanky Dallas bridal shop–yeah, you read that right–catch on to her humiliation if she does? Welcome back to the little town of Fairfield, Texas, a nice little southern community that you are familiar with if you have read other books in this series. 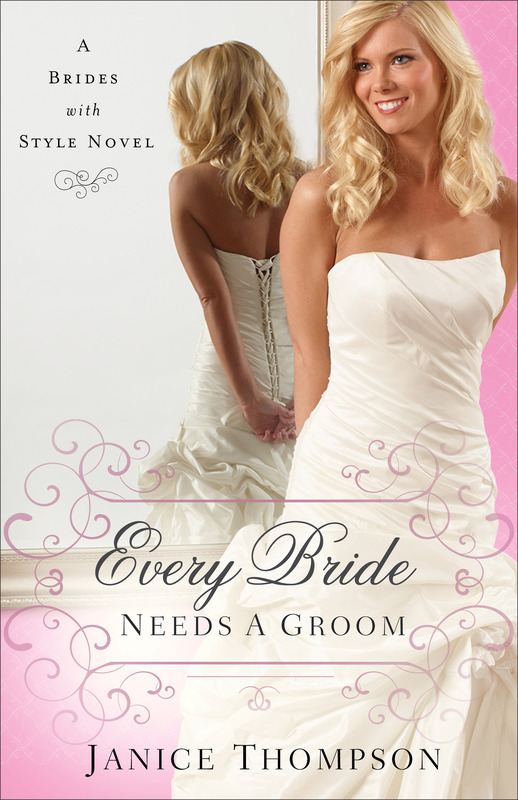 Katie Fisher just knows her boyfriend is going to propose, in time, so when she enters a contest to win the wedding dress of her dreams, she just knew her she will have a wedding far more beautiful that she ever dreamed. So she enters the contest, and waits for the proposal. This book had me laughing throughout the entire book! I love the way Janice Thompson writes so much humor in her books. She makes stories fun, funny and entertaining, no matter how difficult the circumstances. And Every Brides Needs A Groom was a great few hours of joyful entertainment for me. If you are looking for a fun, light and clean read, you will love, love this one!